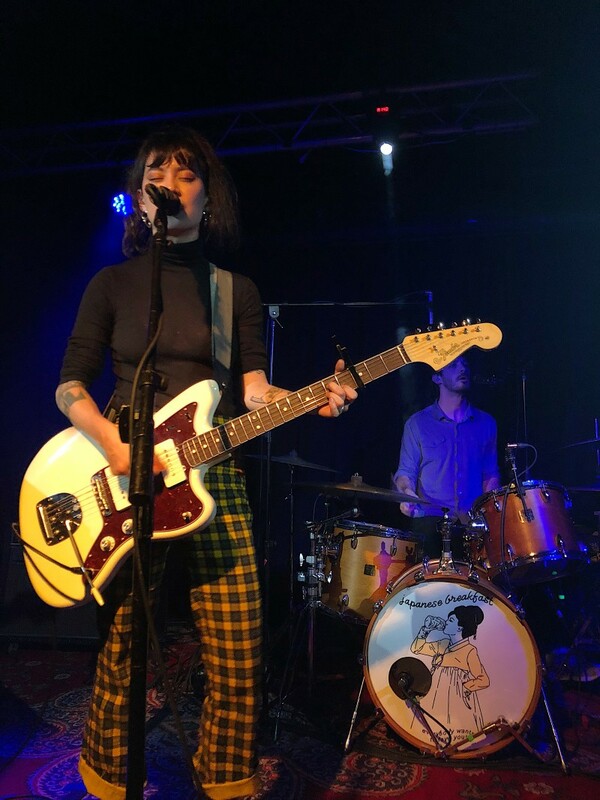 “What the f%ck is up, Hamden?” Japanese Breakfast’s lead singer Michelle Zauner asked the crowd to roaring applause. “Hamden, Haaaamden, Hamden?” As the beloved indie rocker repeated the name of the sleepy New Haven suburb, fans in the tiny one-room venue cheered while moving closer to the small stage. Lead singer and principal songwriter of LA-based indie band Hand Habits, Meg Duffy, had just opened the night before Zauner’s entrance with warm melodies, light electric fingerpicking, and an exquisite voice to match. Hand Habits played mostly from their 2017 album, Wildly Idle (Humble Before the Void). Hazy, rose-colored lights then danced across the stage. The ever-so-stylish Zauner emerged before the microphone stand wearing cuffed plaid pants, a dark turtleneck, Doc Martens, and intricate earrings. Grabbing her white Fender Jazzmaster, Zauner opened her set with “Diving Woman,” the first song off her 2017 release, Soft Sounds From Another Planet. Zauner’s set also included ambient tracks “Road Head,” “12 Steps,” “Boyish,” and the dazzling synth-heavy “The Body is a Blade,” from her most recent album. Longtime lovers of the lo-fi group were also pleased to hear upbeat songs from their 2016 debut,Psychopomp. Dusting off tracks like, “In Heaven,” “The Woman That Loves You,” and “Heft,” Japanese Breakfast performed many highlights from the whimsical setlist. Zauner paused her set and looked into the distance—the loud cheers of the crowd faded into hushed whispers. “We’re going to play some quiet songs now if that’s okay with you,” she spoke while smiling, “If not, speak now or forever hold your peace.” The reciprocal grins across the room gave her a queue to begin. “This is the first real love song I ever wrote,” she expressed as her husband began the piano intro to “Til Death.” “It’s about marriage, and knowing you really love someone after enduring something difficult together.” Her breathy, delicate soprano drifted through the intimate space, leaving some fans in awe, shock, and tears. 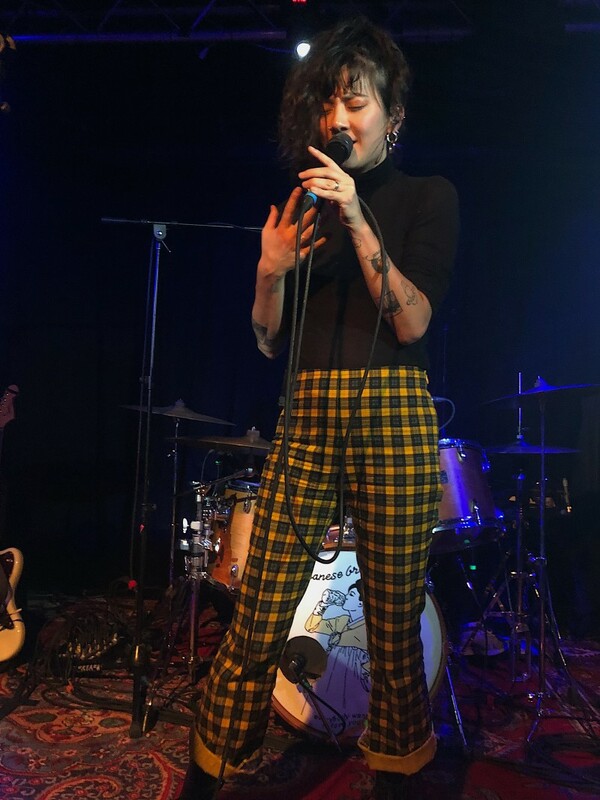 Japanese Breakfast kept the soft vibe going with a slow-paced number, “Triple 7.” “Yes, in the night I am someone else,” Zauner sang as reverb pedals transported listeners to another galaxy. The unpredictable, experimental band then abruptly covered “Popular,” by Nada Surf, an alt-rock ‘90s hit, and as Zauner twirled and swayed her way across the stage, she grabbed onto hands of fans along the way. 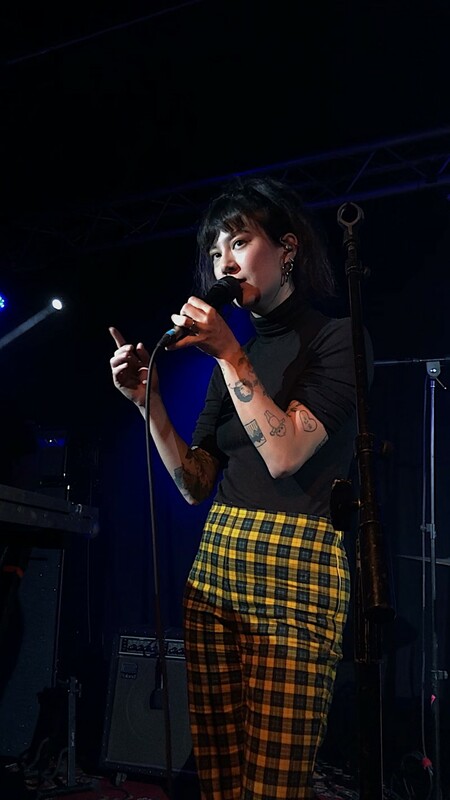 Japanese Breakfast’s atmospheric setup featured Zauner on lead vocals, guitar, and occasional synths. Her husband and guitarist, Peter Bradley accompanied her along with bassist Deven Craige and drummer Craig Hendrix. The group will hit more East Coast tour stops before playing in the Pacific Northwest, and later, The Boaty Weekender cruise festival in Barcelona this summer. From heart-wrenching ballads about unrequited love to electronic dance anthems about falling in it, Michelle Zauner’s intergalactic performance proved everybody wants to love her, and her dreamy synths, too.